Whether a tree has fallen or been cut down to the stump, the trees roots will still be attached underground. Depending on the kind of tree it is the stump could start to shoot more growth turning into a tree again. All trees have a different root system, the rule of little tree, little root system is not always the case. Some trees can be healthy and other trees can start to decay which would mean the tree needs to be removed. As a tree grows so does the root ball, when the root ball expands it can be anywhere from 4-10 times the size of the tree. So, in this case it will make for the stump removal a difficult process. 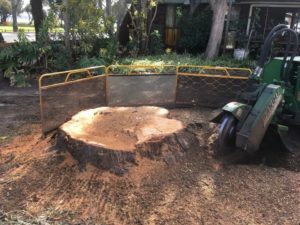 Stump removal can involve the root system needing to be cut and digging the bulk of the stump and lifting the rest away with a crane. Once removed there will be a significant hole where the tree once was. Grinding of the tree stump will eliminate having to dig away. 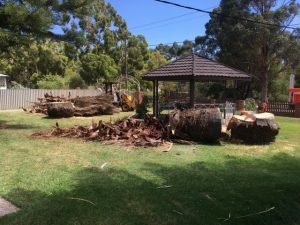 After the tree has been cut down to the ground level, the stump grinding process breaks down the stump into smaller pieces and the pieces can then be used as mulch. When the stump is ground it will usually be below the ground surface. Covering this area with dirt will eventually cause the stump to decay, with the root system around it. Be mindful that any removal of tree trunks could disturb the root system, potentially causing damage to paving or structures near by. 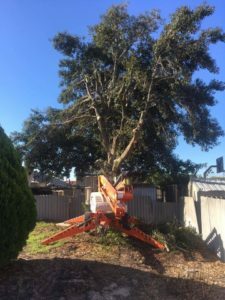 Specialised equipment is required for the task at hand and sourcing the expertise of a qualified professional will see that your tree is removed safely. 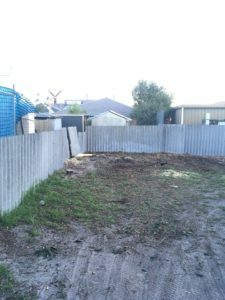 Depending on the outcome you want, this will make the decision easier, although the process of stump grinding does take less time or if you are going to plant new trees or gardens, then complete removal may be the way to go. 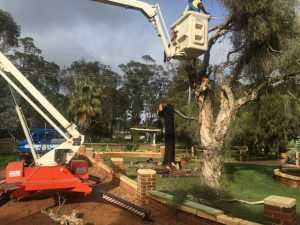 When you need stump grinding or removal, contact the team at Armac Stump Grinding, Tree Removal and Yard Cleanup on 0448 442 477.
Who can Spring Clean my Yard? Spring is around the corner, it is the time to get your garden and yard tidied up from too many leaves or tree branches that may have come down making your front and back yard look less than appealing. When these maintenance jobs need to be done, there is no need put them on the back burner until your able to accomplish the task. Contact the expertise who are only too happy to do a clean-up for you. To save time and energy contact Armac who has all the equipment to help in the situation and complete the job from the beginning to end leaving you with the space you are needing. Areas for your Spring Clean? If your trees have taken a battering from the winter winds and left branches around your yard or partly broken off trees that need to be removed, these can easily be collected and trimmed and taken away for you. 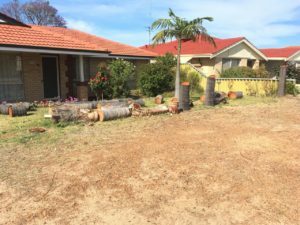 Has a tree in your yard fallen onto a fence line or broken and looks like it needs to be removed, then Armac have the right tools and equipment and can remove the tree and grind stumps leaving you with free space again to utilise for something else. 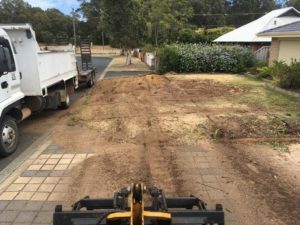 When wanting to make extra space for a driveway, shed, drainage or just general yard clean-ups, earthworks is the way to go to ensure levelling and preparation of your ground ready for your project. 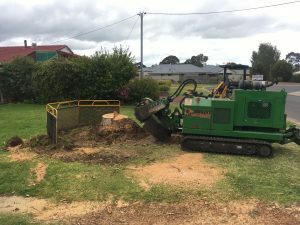 Armac will give you the professional friendly service you need with a very affordable prices for all your tree removals, firebreaks, driveway preparations and earthworks. Contact Ray at Armac today on 0448 442 477. Have the wild winter storms left your yard a little worse for wear? Have you got fallen branches that need removing from your yard or still hanging from your trees? From fallen branches to large fallen trees, Armac can assist you with your yard clean-ups to get your garden looking Spring ready in no time. 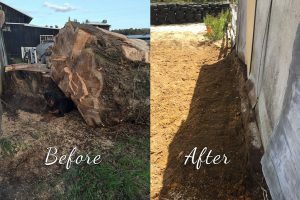 Armac are so much more than just stump removal specialists, they can assist with all areas of yard cleanup and tree removal. Armac also carry all necessary accreditations and insurances to ensure they not only carry out the job professionally and to the highest safety standards but will be compliant with your own insurance requirements. Wild winds can result in branches, both large and small, breaking off from larger trees and ending up in your yard. Not only is this a safety concern, it can be unsightly and inconvenient when the storms pass. Removing larger branches that have broken away, or are still swinging, from trees in your yard requires them being cut down and removed safely and correctly to avoid any further damage. Did the excessive rain have you contemplating some garden changes? Maybe you realised you need extra drainage or that you don’t really want all that water creating a small lake at your back door? 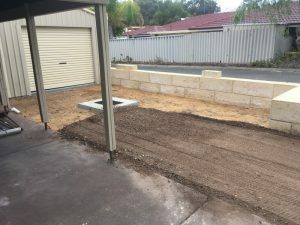 Armac carry out earthworks for garden renovations and landscaping that ensure the space is left clean and ready for you to create new, improved garden features. Large trees that looked innocent in the sunshine of summer can also show their true colours when winter storms push them close to power lines. 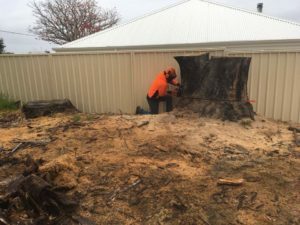 If you’ve noticed your large trees are getting far too close for comfort, or that they are getting too big or old to withstand the weather much longer, Armac are able to safely and efficiently remove the tree and it’s stump to allow for your peace of mind. Who Can Assist Me With Storm Clean Up In The South West? Armac are your local, affordable choice for yard clean-ups, tree removal and stump grinding throughout the South West. Don’t let the winter storms get you down; Armac are only a phone call away. Call Ray today on 0448 442 477 for your free, onsite quote. How Can Armac Help You This Autumn? When people think Autumn, they predominantly think leaves; the falling, raking and clearing of leaves. But autumn is so much more than just cleaning up the yard of fallen leaves in preparation for winter. Some species of trees, plants and shrubs can be planted at this time, tree’s need to be pruned and lawn needs to be fertilised to allow for growth over the colder months. Preparing your yard in autumn reduces the chances of you having to get out in the cold, wet months of winter to attend to garden issues. Whilst the winds get stronger and the days get shorter, you may wish to consider having your larger trees pruned or even removed to decrease the chance of a tree falling on your car, shed or home. Large branches can be a safety hazard and trees typically begin to enter dormancy in winter, making it a great time to prune for efficient re-growth. Got a leafy tree? Or does your neighbour? Those fallen leaves cause all sorts of problems when they fall into gutters and pools, clogging up drains and filters. They can also pose slip hazards when they are wet and breed mosquitoes and other insects in their warm, moist nests. 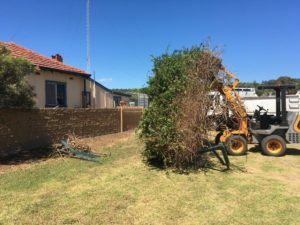 Pruning your shrubs and bushes, cleaning up debris and removing possible dangers to your family are all part of the Armac Yard Cleanup service. Whilst the word earthworks often brings to mind large expansive movement of dirt and rubble, it can refer to the small jobs of driveways and drainage, which is so important when excess water is around your home. Who Can Help Get My Yard Ready For Winter? Armac will not only assist in tree and stump removal, but yard cleanup and earthworks to ensure your property is safe and ready for the colder months. Call Ray today on 0448 442 477 to arrange a free onsite quote today.